Luckily for my head, I didn’t go to the effort of writing down last weeks root method that was available for the second generation Amazon Fire TV 2 device. 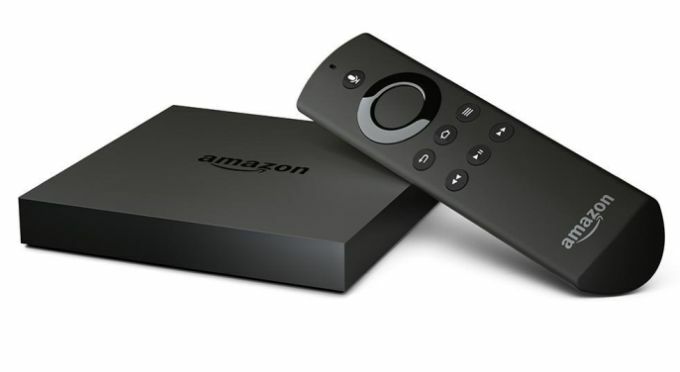 As of today, there is a new method available to root Amazon Fire TV 2 devices and it’s much easier to get done. The following guide applies for the Amazon Fire TV 2 only. That’s the second generation variant of the Fire TV and not the first. Don’t get it confused or you will probably brick your device. There are working rooting methods for the Amazon Fire TV 2 for people who are running Windows, Mac and Linux. However, the following guide is made for people who are running Windows operating systems only. The steps vary dramatically between operating systems; therefore you’ll need a unique guide if you are running Mac or Linux. You are voiding the warranty by following this guide for your Amazon Fire TV 2 device. You can restore the stock ROM back on the device and it will unroot so you can accept future updates again with your over-the-air updates. By doing that, you should also get the warranty working again. Download the stock 5.0.3.1 root file  or the stock 5.0.4 root file . Download and install your VCOM drivers from here . Power cycle the Fire TV. The rooting process will now start patching — apparently it can take as long as two hours, so you might want to check back later. Wait for the “congratulations” message to appear and power cycle it one more time after it does. You know it’s working properly when it continuously prints addresses every second, for about 30 seconds after the pre-loader is found. Now you need to disable future OTA updates. To block the OTA updates, you need to learn how to set up ADB  on your Amazon Fire TV. Once you press enter on your keyboard, the future over the air updates will be disabled. You must re-enable them if you want to get more updates in the future. Accepting a future OTA updates will unroot the Amazon Fire TV 2 and you’ll need to root it again if you want it rooted. Note that the method you used here might not work after the next OTA update, so that’s something to think about before you accept future OTA notifications. By unrooting and allowing future OTA updates, you are allowing potential patches. Only update if you have bugs or you are missing features you know are coming in future updates. Furthermore, those of you who do not want to sacrifice root access should make sure you know how to root after the future update before updating.